LIC Housing Finance Limited (LIC HFL) on Monday announced a cut of 0.25 per cent in home loan rates and lower processing fee for the festive period. The housing finance company said it would charge 0.25 per cent lower interest on home loans from October 15 to November 30. Subscribers to the Bhagyalakshmi Plus scheme, which specifically caters to women borrowers, the rate of interest will now start from 10.10 per cent for the first fixed 2-year period. Shares of LIC Housing Finance ended flat at Rs 242.95 apiece at the Bombay Stock Exchange (BSE) on Wednesday after the mortgage lender reported lower-than-expected quarterly results. LIC Housing Finance, the second-largest mortgage lender in India, reported a growth of 147 per cent in net profit to Rs 243.06 crore for the three months to September 30, but the company's loan growth slipped to 23 per cent. LIC Housing Finance, which is one of the leading housing finance company in the country, has said that it is aiming to raise raise Rs 1,150 crore through a QIP issue. The housing finance company is aiming o complete the fund raising effort in the coming two months. The new issue will boost company's capital adequacy ratio with the new capital from investors being included in the company's balance sheet. Several market analysts have said that the shares of the LIC Housing Finance is expected to fall in the coming weeks as the public sector unit has posted a lower than expected profit in the second quarter mainly due to weaker net interest income and provisions burden. Morgan Stanley said that the shares of the LIC Housing Finance will fall more than the benchmark index of the stock exchange in India in the coming 15 days. The corporation has recorded a 58% drop in net profit in the second quarter while its income grew 37.4% to Rs. 1511.47 crore. Technical analyst Rupal Saraogi has maintained 'buy' rating on LIC Housing Finance Limited stock to attain an intra-day target of Rs 219. According to analyst, the stock can be purchased with a stop loss of Rs 202. The stock of the company, May 04, closed at Rs 204.55 on the Bombay Stock Exchange (BSE). The share price has seen a 52-week high of Rs 299.30 and a low of Rs 150.40 on BSE. Current EPS & P/E ratio stood at 20.53 and 9.98 respectively. Technical analyst Somil Mehta of Sharekhan has maintained 'buy' rating on LIC Housing Finance Limited stock with a target of Rs 200. According to analyst, the stock can be purchased with a stop loss of Rs 170. The stock of the bank, on February 08, closed at Rs 178.25 on the Bombay Stock Exchange (BSE). The share price has seen a 52-week high of Rs 299.30 and a low of Rs 142 on BSE. Current EPS & P/E ratio stood at 18.40 and 9.75 respectively. Technical analyst Anil Singhvi has maintained 'hold' rating on L I C Housing Finance Limited stock with targets of Rs 210-256-. According to analyst, the investors can purchase the stock with a stop loss of Rs 172. The stock of the company, on January 27, closed at Rs 184.80 on the Bombay Stock Exchange (BSE). Current EPS & P/E ratio stood at 18.40 and 9.64 respectively. Shares of LIC Housing Finance cut down on profit taking, in spite of first-class outcome by the company, as the stock is costly, 3 dealers said that they will consider that with reasonable growth and NIMs, the stock is probably past its peak and uphold our sell reference Citi stated this in a note. LIC Housing Finance which is amongst one of the largest housing finance corporation in India has testify modest growth of 37% in the net profit at Rs 234.21 crore on the back of 32% jump in the net income by operations at Rs 1100.22 crore in the quarter which finished on September 2010. LIC Housing Finance has reported its first quarter financial results of the current fiscal year. According to LIC Housing Finance, the net profit of the company has gone up by an impressive 71% in the quarter under review against the like period in the previous year. The company has registered net profit of Rs 212 crore during the first quarter ended in 30th June 2010. It was Rs 123.84 crore during the corresponding period in the fiscal year 2009-10. LIC Housing Finance, leading home loans provider in India, has cut down interest rates for new loans by 0.5 per cent that would be applicable to all new housing loans approved on or after August 1. With this latest revision, customers opting for floating rate loans between Rs 30 lakhs and Rs 75 lakhs will have to pay 8.75 per cent interest rate as against 9.25 per cent earlier. Stock market analyst Ashwani Gujral of stockmechanics.com maintained ‘Buy’ rating on LIC Housing Finance Ltd to achieve a short term target between Rs 700 – Rs 750. According to Mr. Gujral, interested traders can buy the stock with a strict stop loss of Rs 618. Today (July 06), the shares of the company opened at Rs 650, up Rs 15.85, on the Bombay Stock Exchange (BSE). Current EPS & P/E ratio stood at 62.65 & 10.66 respectively. The share price has seen a 52-week high of Rs 660 and a low of Rs 151 on BSE. Leading mortgage financer, LIC Housing Finance plans to sell 19.3% of its stake in LIC Mutual Fund Asset Management Company (LIC MF AMC) to Japan's Nomura for about Rs 138 crore (US$29mn). The deal is considered as a part of company's strategy to sell its 35% stake in LIC MF AMC to Nomura by stakeholders. 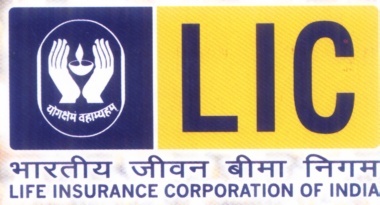 Presently, LIC Housing holds 39.3% stake in LIC Mutual Fund AMC. Post offloading, the company will hold 20% stake in it, while the balance stake will remain with Nomura.